Recruit in Canada has secured group prices for delegates at hotels close to the fair venues in each city. Booking is done by you, so that you can have flexibility if you need to make changes or add days. Please note the deadline dates for booking each hotel, as the rates are only guaranteed until that date. Any bookings made later cannot be guaranteed to be at the same rate. Please remember to quote ‘Recruit in Canada’ or the Group Code (where applicable) to ensure that you are given the discounted group rate. Downtown, within easy walking distance of restaurants, shops and the fair venue. 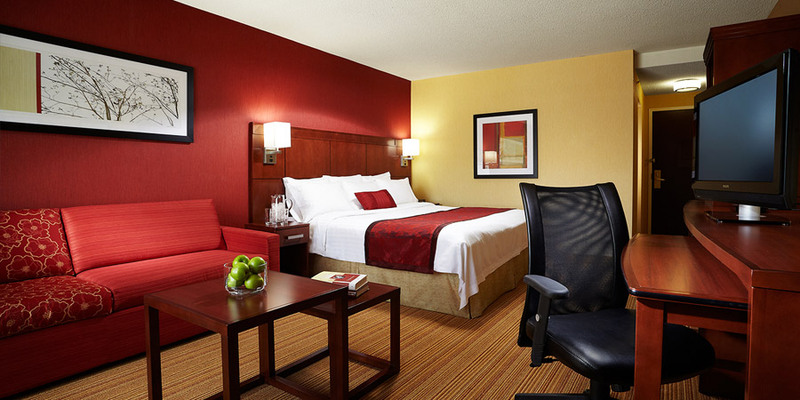 The Hilton Garden Inn offers complimentary Wi-Fi, a 24-hour Business Center, a fitness center and a full-service restaurant. or call 1-587-352-2020 and mention the Recruit in Canada group. Taxi: 20 minutes ($40 approx) or take the Allied Shuttle bus from the airport (in Arrivals near Gate B). The shuttle costs $15, leaves every half hour, and will drop you off at the Hilton Garden Inn. You can also arrange to be picked up and taken back to the airport for $10. Check the website for more info.. Located in the core of the city, close to Robson Street, there are 50 cafes and restaurants within a two block radius of the Carmana Plaza and right across the street is a gourmet supermarket. Local calls, internet access and parking are all free of charge. 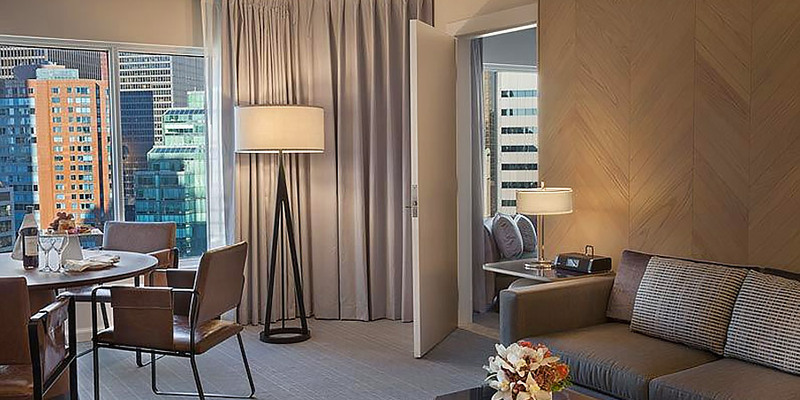 Each suite contains a living room, bedroom, a dining area adjacent to a fully-equipped kitchen and ample work space where the Vancouver city skyline is your backdrop. Please check exhibitor manual for pricing. Phone 604-683-6106 (toll-free from North America: 1-877-686-9988 ext 351) or email reservation@carmanaplaza.com and ask for the Recruit in Canada special rates (booking code RCR). There is no deadline for booking at this rate, but please note that space is limited. By skytrain: (2-5 minute walk to Burrard Station plus a two-minute train ride to Waterfront station - $2.75, 1 zone). Downtown, opposite Rideau Centre and close to Convention Centre. 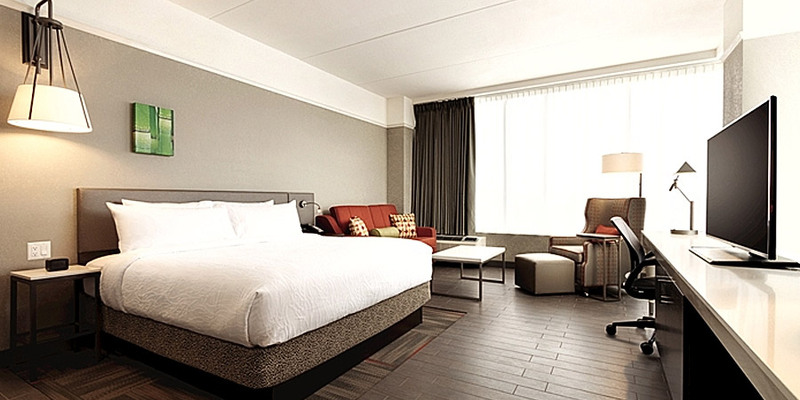 This recently refurbished hotel is in a great location – a few blocks from shops, restaurants, cafes and the convention centre. The hotel facilities include a restaurant, indoor pool and fitness centre, free wifi and a 24/7 business centre. 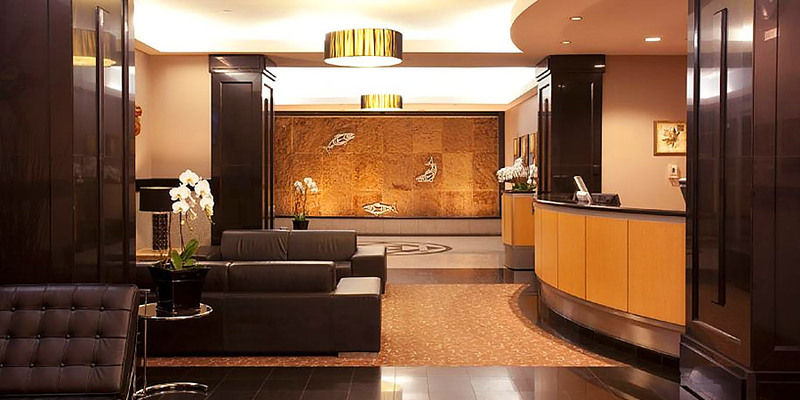 The hotel is a 5/10 minute walk from the Convention Centre, or a 5 minute taxi ride. Cross the street, enter the Rideau Centre and access the convention centre from the 3rd floor of the Rideau. This luxury hotel has a 24-hour Business and Fitness Centre, an indoor pool, full-service spa and a lounge, bar and restaurant. Free internet is included for Recruit in Canada delegates. or call 1-416-597-1400 or 1-800-235-4670 (from Canada, USA) and mention the Recruit in Canada group. UP Express Train from the airport: 25 mins to Union Station (approx. $13) and then a 5 minute walk to the hotel. Walking (annexed to the convention centre).